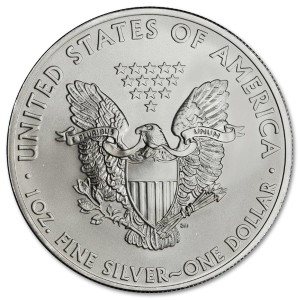 When you’re investing in precious metals, you want to trust your money to a name with respectability and tradition. There are few names as well trusted in the gold investment industry as that of Argor-Heraeus, a company founded under the Heraeus name in Germany in 1660. When you’re looking at a gold bar, price isn’t the only factor that’s going to guide your choice, it’s the reputation and the name behind its mark. 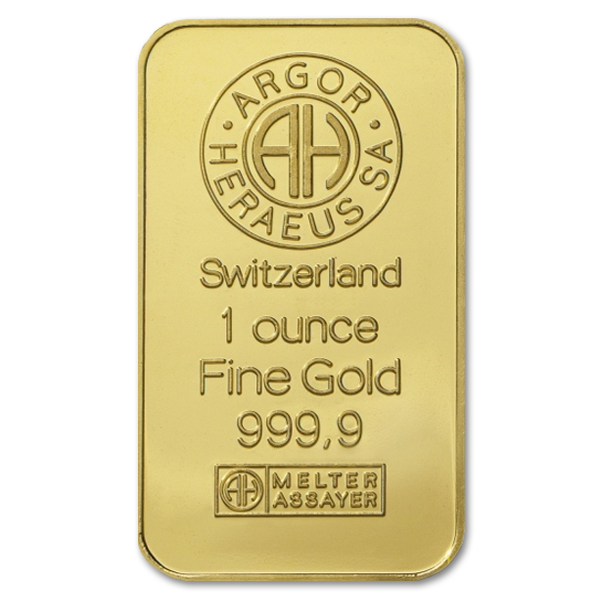 Our 1 Oz Argor-Heraeus Gold Bar has that reputation, and the guarantee of purity that comes with it. 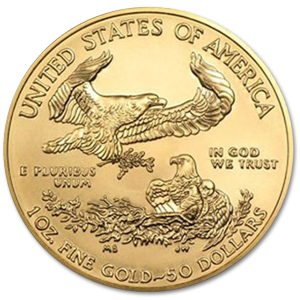 The numismatists often think they have the market on artistry in gold investment, but we know that when you buy a gold bar, there’s something about the engraving on it that brings a sense of satisfaction. It goes beyond the serial code that marks each individual bar, it’s the beauty and dignity inherent in the makers mark and the sense of satisfaction it brings. 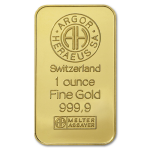 This bar is engraved with the mark of Argor-Heraeus, under which can be found “Switzerland”, and in strong clear text “1 Ounce Fine Gold 999.9”, everything you need to know about this gold bar is right there in clear, beautifully engraved letters. Then, on its reverse side, can be found the Argor-Heraeus Logo in a repeating pattern. The company started with distinction, serving local counts as the official court apothecary on the basis of their excellence and reliability. That reputation was only enhanced when Carl Heraeus discovered the method by which platinum could be melted down in large volumes and produce a pure metal. It was this kind of innovation and know-how that let Heraeus make its mark on the gold industry, and it’s maintained that level of excellence ever since, making its mark on a gold bar of pure gold bullion one of quality and authenticity. 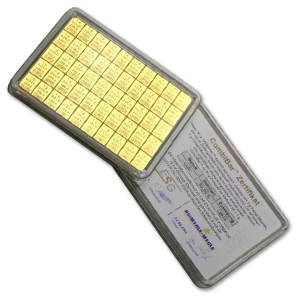 Whether you’re using paypal, credit card, or buying this 1 oz gold bar with bitcoin, it’s going to make a deeply satisfying investment for you. 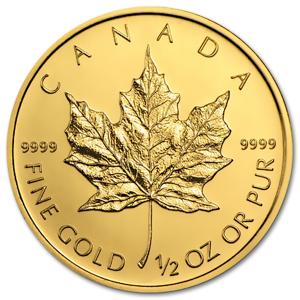 Gold never loses its value, and in fact grows in value when the economy is at its worst. Those traits, along with its ability to retain its luster and beauty make gold one of the finest investments for both the collector and the investor alike. No gold investors portfolio is complete without a piece from Argor-Heraeus, and this gold bar is the perfect piece to do the job.